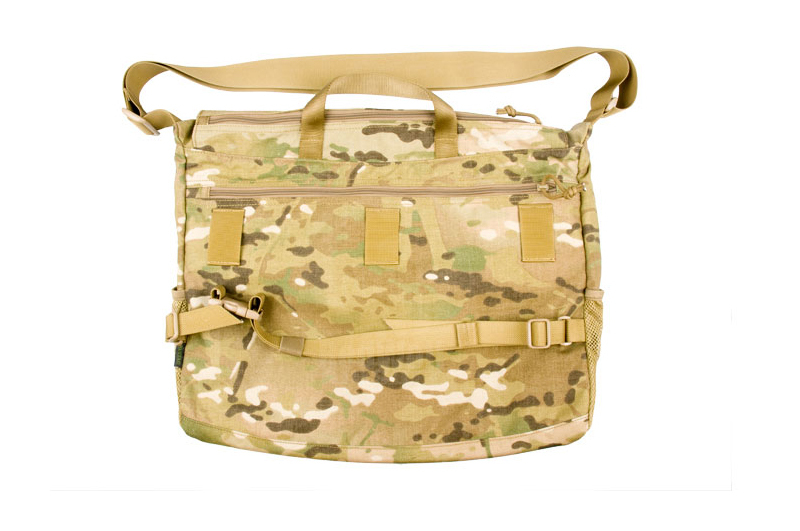 Made from the usual 1000D Cordura materials the Pantac Low profile Courier Bag features more than enough space to fit in almost everything you would need to carry! There are 2 easy methods to access the items held inside, one, is the traditional method of flipping open the front flap and reaching in. The second method however is much more ingenious, simply unzip the zipper at the top of the main flaps, and reach in! Inside you will find a mesh pocket and a large panel of MOLLE strips for you to attach on things like the Pantac Messenger Accessory Pocket Type B [OT-C574-CB-A], or maybe even a small holster for a sidearm; Who knows when someone would want to steal your packages? Made of light weight abrasion and water resistant 1000D Invista Cordura fabrics with YKK zippers, ITW Nexus & UTX buckles with Mil-Spec. Sewing Seams and UTX top quality brass snap buttons adopted. Mil-Spec. Velcro is good for over 20,000 uses. 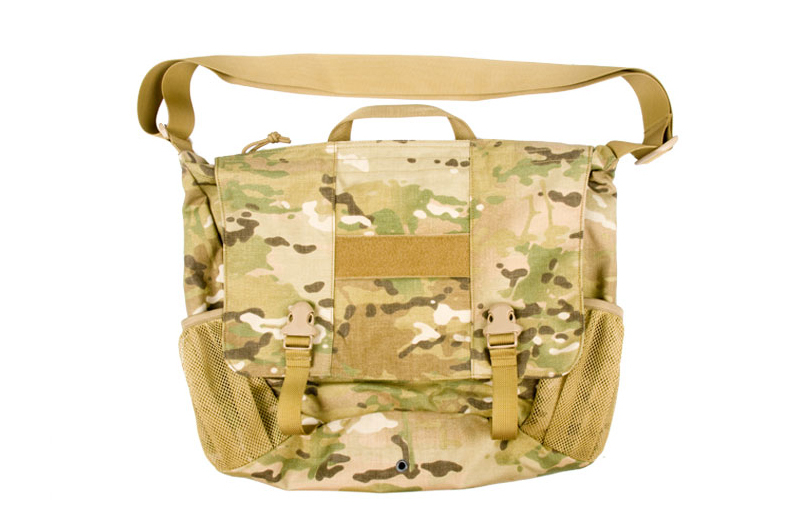 All Pantac gear is made to comply with Heavy Duty Military Specifications.